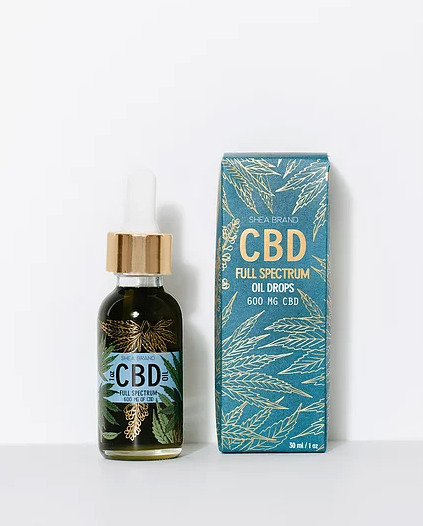 CBD Full Spectrum Oil Drops is a sublingual tincture containing 600mg of CBD per bottle (30ml). This high-potency formula suspends full spectrum CBD oil (medicinal hemp extract) from Colorado in a sustainably grown, bioavailable hemp seed carrier oil to deliver maximum therapeutic effect. CBD has been known to help provide relief from ailments associated with anxiety, muscle tension and neuropathic pain. It can also help to improve sleep, enhance mood and boost cognitive function. Disclaimer: Store in the fridge or at room temperature. Use within one year of purchase. This product has not been evaluated or approved by the FDA and is not intended to treat, cure or prevent any disease. Use caution if subject to drug screening. Please be advised hemp extract can cause a positive to occur on some tests. Consult with a physician prior to use. This product is not intended for people who are pregnant or nursing. May induce drowsiness. Do not operate heavy machinery or a motor vehicle while using this product.